Commander Will Cushing: Daredevil Hero of the Civil War, Jamie Malanowski, Norton Publishing, 303 pages, 20 b/w photographs, bibliography, index, 304 pp., 2014, $26.95. 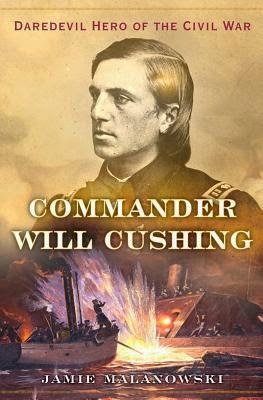 Commander William B. Cushing is best known for his leadership in the sabotage effort which sank the CSS Albemarle during the night of October 27-28, 1864. Born in Wisconsin and raised in western New York provided with a both down to earth view of life and the ability to create fun where every his lived and worked. He was expelled from the U.S. Naval Academy for poor study habits and a surfeit of demerits during his final year. He was forced to resign from the academy just 90 days before graduation. Jamie Malanowski describes Cushing throughout his early years as having a talent for buffoon. Cushing's friends and relatives in Washington, D.C, lobbied the secretary of the navy who had been in the post for just 16 days. Gideon Welles met with Cushing and informed him that his appeal would not be accepted. Then came the bombardment of Fort Sumter and the pleading of Benjamin Butler to Gustavus Fox, assistant secretary of the navy. In the emergency of the moment, Cushing reentered the navy as a acting master's mate and joined the crew of the U.S.S. Minnesota. Cushing found opportunities to create adventures. In 1862 Cushing was promoted to lieutenant and later in life to commander. The Confederacy's ironclad ram, Albemarle, dominated the frequently contested region of the Roanoke River and its major port, Plymouth. During the late summer of 1864 considered various plans for destroying the Albemarle; two of the plans were submitted by by Cushing. Cushing's daring plan and heroic execution earned him a reputation and fame that lasted his lifetime. Malinowski offers a witty portrait of Cushing and his adventures. With some very short captures and some very extensive chapters, he briskly moves the story forward from Cushing's childhood and to his death. Reckless and impatient during his childhood and adulthood Cushing rushed through his own life. The author does not loiter either and propels the narrative forward at a lively pace. Malinowski is a writer and editor who has served eight or more magazines and newspapers. Most recently he has served as a lead writer for The New York Times' sesquicentennial Disunion column. Additionally he has written novels, biographies, plays, and an HBO film. Commander Will Cushing is a well assembled story which reflects the author's career in the field of magazine writing. Commander Will Cushing: Daredevil Hero of the Civil War is, as Malinowski states, a retelling of an exciting story about a remarkable individual whose fame is in this centur beginning to fade. He speculates that Cushing's heroics may have been part genius and part personality disorder. Malinowski outlines this possibility but does not force it down the reader's throat. The book ends with Malinowski reflecting on Cushing's death at age 32 and what another 32 years of life would have brought Cushing. Commander Will Cushing: Daredevil Hero of the Civil War is accessible and enjoyable for readers of nearly all ages. Though a benefit to readers would have been the addition of maps of Hampton Roads and Gosport, Virginia and coastal North Carolina. 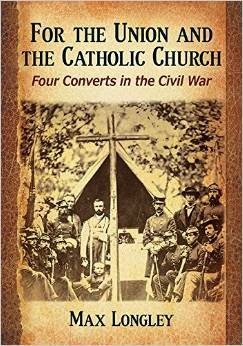 For the Union and the Catholic Church: Four Converts in the Civil War, Max Longley, McFarland Publishing, 35 photographs, notes, bibliography, index, paperback, $45.00. Summer 2015. Five men joined the Catholic Church in the mid-1840s: a soldier, his bishop brother, a priest born a slave and two editors at odds with each other. For the next two decades they were in the thick of the battles of the era--Catholicism versus Know-Nothingism, slavery versus abolition, North versus South. Much has been written about the Catholic Church and about the Civil War. This book is the first in more than half a century to focus exclusively on the intersection of these two topics. Max Longley has written books and articles have also explored civil liberties, the theology of judicial oaths, and the Civil War. He lives in Durham, North Carolina. Personally, from my perspective, as an interpretive ranger fairly new to the battlefield at the time, Dr. Pfanz was a quiet, unassuming gentleman; though one already looked upon with quiet reverence given the recognition earned by his first work, Gettysburg: The Second Day. I was privileged to meet the good Doctor in the early ‘90’s, during his research on his second work, Gettysburg: Culp’s Hill & Cemetery Hill. At that moment, he was on his way up to the library in the old Cyclorama building. A fine scholar of the old school, he invariably carried a number of long yellow legal pads and pencils with him during these research forays. At one point, he related how he had conducted the research for The Second Day, utilizing this long-hand method. Unstated, but understood, was that in his day he had accomplished all that without the aid of copiers, and (obviously,) without computers. Quite an achievement; yet he was not satisfied with just one. Although Dr. Pfanz (“Harry,” to those of us who saw him,) continued, on an infrequent basis, to make research trips in the years that followed, he spoke to all most fluently through his collective writing on the Battle of Gettysburg. In 2001, the final work in “the Pfanz trilogy” appeared – Gettysburg: The First Day. Following the completion of that third volume, his appearances within the park were rare, yet his name was (and is yet) often heard in discussions as staff discussed elements of his research in debate. While his landmarks in the field of Gettysburg literature are well-known, his private personality shied him away from sharing many other worthwhile accomplishments. A seriously wounded artillery officer during the Battle of the Bulge, Pfanz later earned his doctorate at Ohio State, prior to becoming a historian for the Army. In 1956, at the outset of the “Mission 66” expansion, he accepted a position with the National Park Service at Gettysburg, initially choosing to refight the battle that would come to dominate the majority of his later life. 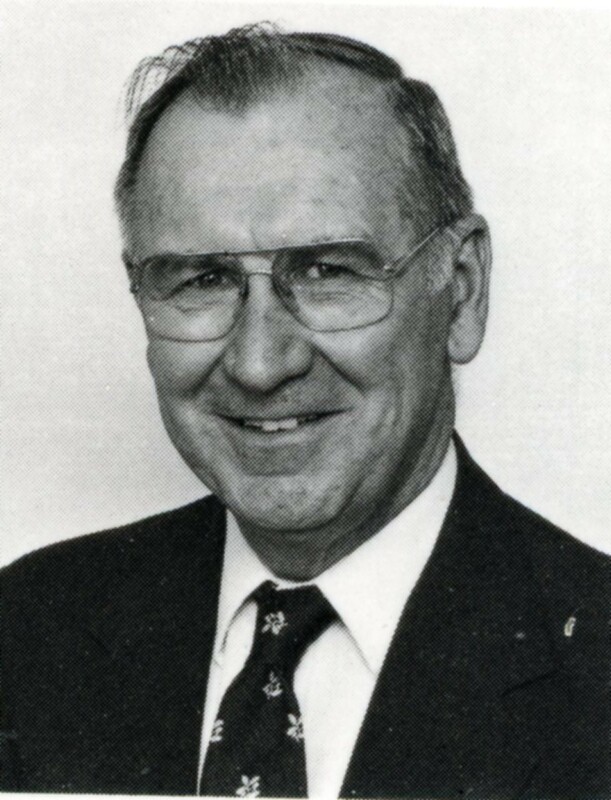 Assigned to St. Louis, Missouri, between 1966 and 1971, at the Jefferson National Expansion Memorial, he served as the site superintendent when the site’s iconic Arch was opened there in 1968. He left St. Louis in 1971, travelling to Washington, D.C. In 1974 Pfanz became the Chief Historian of the National Park Service, functioning in that role until his retirement in 1981. During the course of his work with the National Park Service, Dr. Pfanz received the Department of the Interior’s Meritorious Service Award, the Special Achievement Award, and its Distinguished Service Award. Outside the “green and gray,” Harry was actively involved in the affairs of his church, of Phi Alpha Theta (the history honors fraternity) and other organizations. Harry, however, did not boast any of that. He was, as we recall, a studious and detailed researcher, quiet and efficient in his way. Thankfully, his tremendous efforts resulted in landmark works that help us more fully understand the struggle that took place here. They will remain, but their author has gone. And I will miss him. The deepening of the shipping channel in Savannah, Georgia, won't be dredging up just mud and sand. It will be raising up a link to the past: an ironclad that protected the city during the Civil War until the vessel met its undignified demise. For about the next nine months, divers will be working to bring up the CSS Georgia, piece by rusted piece, from nearly 40 feet down in the Savannah River. 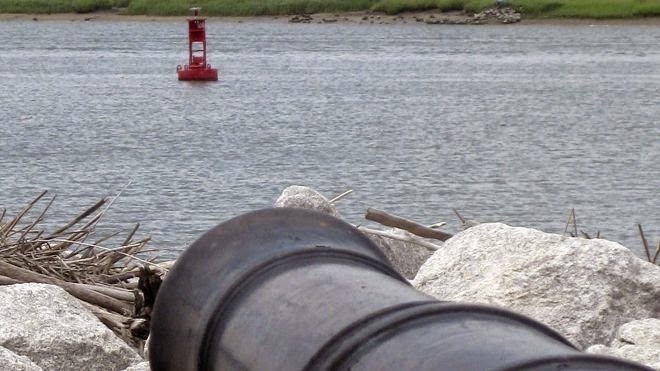 The $706 million harbor deepening officially began Thursday with speeches and the firing of an old cannon at Old Fort Jackson near the wreck site. The removal of the CSS Georgia is necessary for the state and federal project, which will see the channel go from 42 to 47 feet so massive cargo container ships can use the port without relying on the tide. While some material from the Confederate vessel was recovered after the war, four artillery pieces, parts of the propeller and propulsion system, a boiler and two casemates, which housed the artillery pieces, remain in the swift, dark waters. One of the casemates is huge: 68 feet by 24 feet. "She is really in large sections scattered throughout the bottom down there," Julie Morgan, archaeologist with the U.S. Army Corps of Engineers in Savannah, told CNN. The CSS Georgia didn't have enough power to maneuver and effectively trade artillery rounds with any enemy vessels that might approach from the Atlantic Ocean. Instead, the vessel became a stationary floating battery, bristling with artillery pieces. CWL: From a quick internet search it appears that the CSS Savannah and the CSS Georgia are the same vessel. The first CSS Georgia was a floating artillery platform stationed for a time at Elba Island, then at Fort James Jackson. 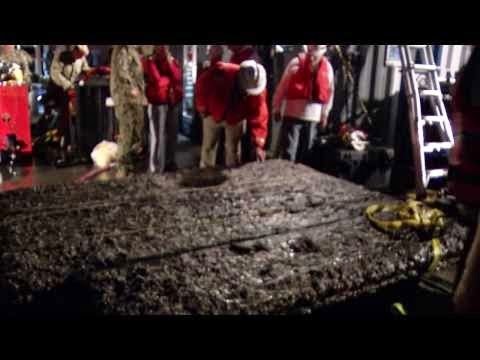 The first remnant of the ship was brought up from the bottom of the harbor on November 11, 2013.